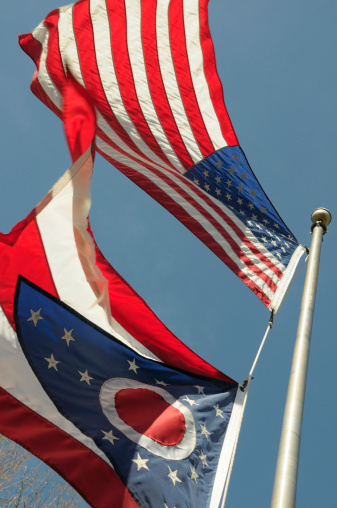 All eyes are on the swing state of Ohio as the presidential candidates prepare for Election Day. A new poll released by Quinnipac University/The New York Times/CBS News says that Obama leads by 5% in Ohio. The race is a dead heat in Virginia and Florida, which are other crucial swing states. Mitt Romney is scheduled to join Musician Kid Rock, Olympian Scott Hamilton, and golfing great Jack Nicklaus at the Square at Union Center in West Chester today. Other high profile republicans are expected to attend such as Governor John Kasich, Senator Rob Portman, and John Boehner. Obama is also planning events in Ohio, as he will be joined by Grammy winners Stevie Wonder and will.i.am during an event Sunday in Cincinnati. In addition, First Lady Michelle Obama will visit Miami University on Saturday. Due to the deadlock between the two candidates all eyes could be on Ohio on election night with the presidency at stake. This final push by both candidates shows the importance of the southwestern region of Ohio to the presidential election. Where: The Square @ Union Center 9285 Centre Pointe Drive, West Chester Twp.